What is Design Challenge Learning? Design Challenge Learning is a dynamic way for learners to become creative problem solvers. 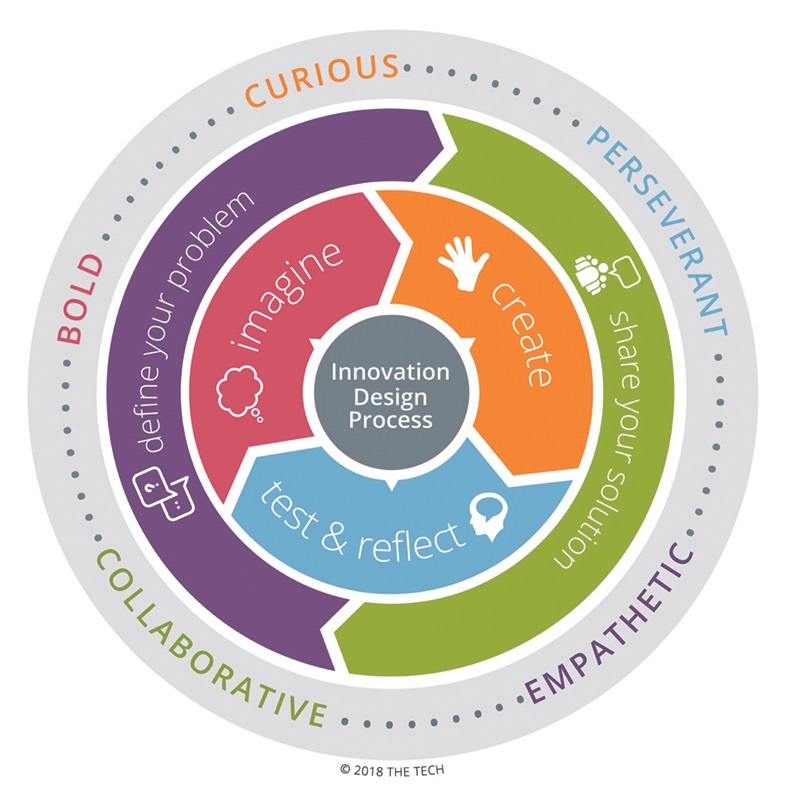 These design challenges use real-world problems to engage learners in an iterative and collaborative process to build innovator mindsets that are key to future success. Our lessons integrate design challenge learning across Engineering, Science, Math and English Language Arts curriculum, and include single and multi-session lessons with real-world connections, adaptable for various grade levels. Our design challenges are single sessions adaptable to Grades K-12 and both in and out of school settings. Design and build a device that can survive a drop in order to deliver emergency supplies. Build a device to explore the force of lift in a hovercraft. Create a wind-powered vehicle to transport cupcakes to hungry customers. Explore forces of motion, potential and kinetic energy in order to place a ball in the center of a six-foot circle. Design spacesuits that can withstand the hazards of high velocity impact from space debris and meteoroids. Build a device that can move a ball to a target while exploring energy transfer. Explore challenges associated with drought in California and how water conservation can be part of a solution. Design a machine that can deliver a remote control to an immobile friend. Build a bridge over a variety of terrains to determine how different designs affect stability and strength. Explore the different flight characteristics of materials while designing an aircraft. Design a solution to the environmental issue of coastal erosion. Conduct weight distribution experiments with paper airplanes to gather information for a short presentation. Design a device to rescue researchers from a lava flow. Teams gather information and scientific evidence to design a device that will help move endangered animals from one protected area to another. Create a device that is to harvest fruit from a tree and examine points of failure for iteration. Build and explore different types of circuits and make calculations to gain practical skills in building, visualizing and understanding circuits. Build a device to help astronauts move equipment to a specific target without using any powered sources. Create a moving object that can navigate a map on a coordinate plane. Using scientific evidence and knowledge, develop arguments on what plants need for growth. Build a device that will deliver life-saving treatment to someone in a hazardous situation. Learn how modifying building materials can convert potential energy into kinetic energy. The Tech for Global Good Design challenges engage your students in taking a systematic and empathetic approach to addressing social and engineering problems faced around the world. Each challenge includes background videos booklets, lesson plan and standards connections. Challenges are designed for Grades 7-12 and can be done in a single four-hour session or multiple shorter sessions. Consider the complexities of infrastructure, public health, and sociocultural landscapes in designing a solution to distribute a life saving vaccine. Develop a solution that assists governments in protecting species in designated areas. To see how this design challenge can be organized review these slides. Created by real-life educators, these short facilitative guides on engineering and facilitating design challenges and fostering engineering mindsets are excellent references for both novice and experienced educators. Learn about the power of the innovation design process. Tools for fostering collaboration, perseverance, curiosity, empathy and boldness with engineering design. Managing low cost, accessible materials for engineering design. Essential elements to engage all learners in design challenges, including narratives, criteria and constraints. Methods for inspiring innovation at the start of a challenge. Encourage iteration and perseverance throughout the design process. Using quantitative and qualitative observations to refine designs. Create a classroom culture that supports communication, constructive feedback and iteration.